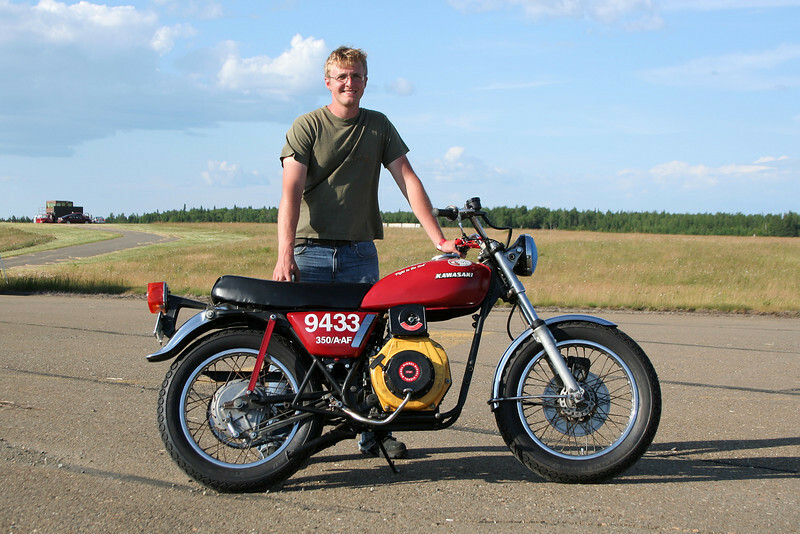 At the Loring Timing Association in Maine, John Petsche drove a highly modified motorcycle into the record books. Powered by a six-horsepower industrial diesel engine and fueled by store-bought vegetable oil, Petsche's two-wheeler hit a top speed of 56.535 miles per hour, sufficient to set a record in the the 350-cc Alternate Fuel class. The donor bike uses a single-speed drive with a centrifugal clutch, which limits its performance, but Petsche plans to upgrade the drivetrain to improve acceleration and surpass his record-setting top speed next year. Petsche says he built his motorcycle to demonstrate the potential of off-the-shelf technology (and, literally, off-the-shelf fuel). By combining preexisting components from generators, go-karts and junked vehicles, Petsche built a low-cost bike that he says gets 100 miles to the vegetable oil gallon.